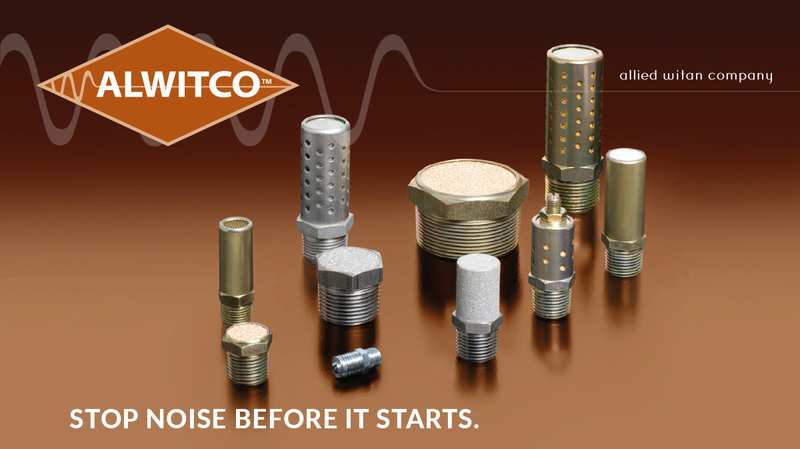 Based in the Cleveland, Ohio, area for more than 65 years, Allied Witan Company manufactures industrial noise control devices which promote clean and quiet pneumatic operations. The deafening roar of air exhaust isn’t just distracting – it also can be dangerous. 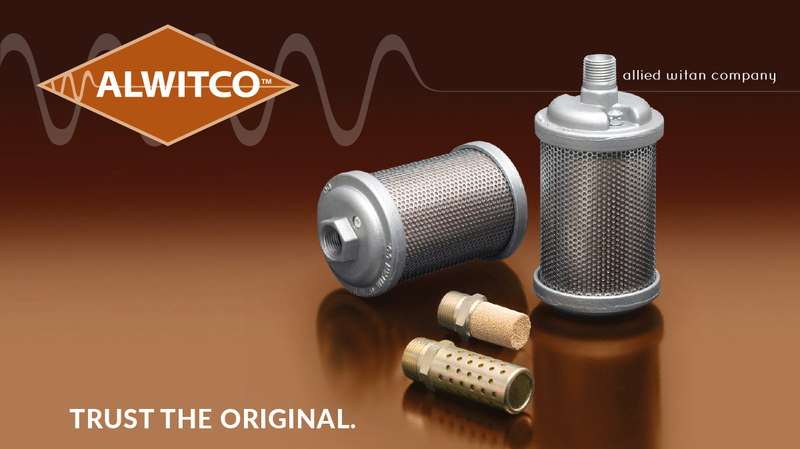 Control the noise and help keep employees safe with Atomuffler- and Bantam-brand mufflers and filters for noise control and filtering needs, manufactured exclusively by Allied Witan Company. Atomuffler and Bantam muffler and filter product lines reduce excessive noise by dividing the air stream and turning it back on itself. As air exhaust enters the muffler at high velocity, Atomuffler and Bantam mufflers redirect it into smaller air streams that rebound off opposing walls of the muffler chamber. With air streams colliding head-on with each other, velocity is reduced and the exhaust air is gently dispersed throughout the disseminator surface area. This technique reduces noise without sacrificing machine performance. In thousands of plants and countless applications, Atomuffler-brand mufflers have been used for more than 65 years, and Bantam mufflers for more than 45 years. Both product lines have proven themselves time and again for effectiveness, value and superiority. They have an outstanding ability to control excessive noise for more pleasant working environments while reducing the potential of physical injuries caused by extreme air blasts. Beginning in the early 1900s, the concept of “noise” came into public awareness. Factories, automobiles, and even talking movies generated new – and much of it unwanted – background sound that made everyday living more unpleasant and unhealthy. Various sources show evidence of these concerns from that era, including numerous and varied studies and journal reports. The first electrical sound meter was documented in 1907-8 and the first tentative standards for sound meters were published in 1936. 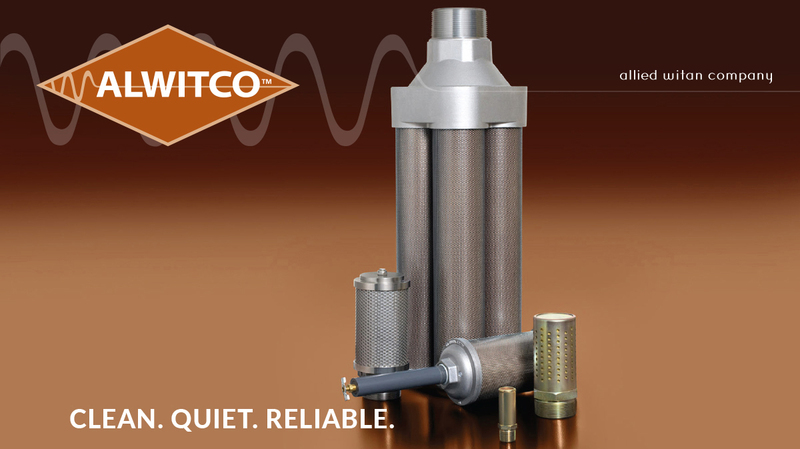 Beginning in the late 1940s with a focus on air-operated equipment, Atomuffler® and then Bantam® mufflers have been setting industry standards in sound control applications all over the world. Both are specified in a wide range of industrial applications where efficiency, dependability and performance are critical. In addition to having superior sound silencing properties, they are also valuable air diffusers that are unsurpassed in the muffler field. Air diffusion positively prevents troublesome air flow and dangerous after-blasts. NOISE INFORMATION – HOW MUCH NOISE IS TOO MUCH? Noise levels in the upper 70 decibel (dB) range are annoying to some people. Exposure to levels above 80 dB for 8 hours may cause hearing damage, while exposure to levels above 90 dB for the same amount of time is likely to cause hearing damage. When noise levels are above 100 dB for 8 hours, serious hearing damage is possible. 120 dB is considered the human threshold for pain, and eardrum rupture can occur at 150 dB. Damage caused by noise goes beyond just hearing loss. Studies have shown that sustained exposure to high levels of noise can cause stress, hypertension, and even cardiovascular problems. For example, tests performed on air exhausts not equipped and equipped with Atomuffler products showed that noise levels can drop from 97-121 dB without a muffler down to 81-84 dB with Atomuffler products. That’s a decrease of up to 37 dB. On average, noise levels were reduced 17-25 dB. However, every application is different and there is no way to predict exact results. Allied Witan Company does not control the use of its products or their application after sale and purchase by its customers. 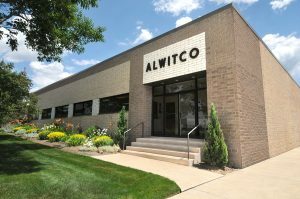 Therefore, Allied Witan Company recommends that any purchaser or end-user of its products perform reasonable testing of the products before using them or adapting them for use as components in any products. Such testing may assure maximum performance and safe operation. ALLIED WITAN COMPANY MAKES NO WARRANTIES, EXPRESSED OR IMPLIED, RELATED TO ITS PRODUCTS, INCLUDING WARRANTIES AS TO THE PRODUCTS’ MERCHANTABILITY OR AS TO THE FITNESS OF THE PRODUCTS FOR ANY PARTICULAR USE OR PURPOSE. FURTHER, ALLIED WITAN COMPANY SHALL NOT BE LIABLE FOR ANY LOSS OR DAMAGE, DIRECTLY OR INDIRECTLY, ARISING FROM THE USE OF ITS PRODUCTS OR FOR ANY INCIDENTAL OR CONSEQUENTIAL DAMAGES.